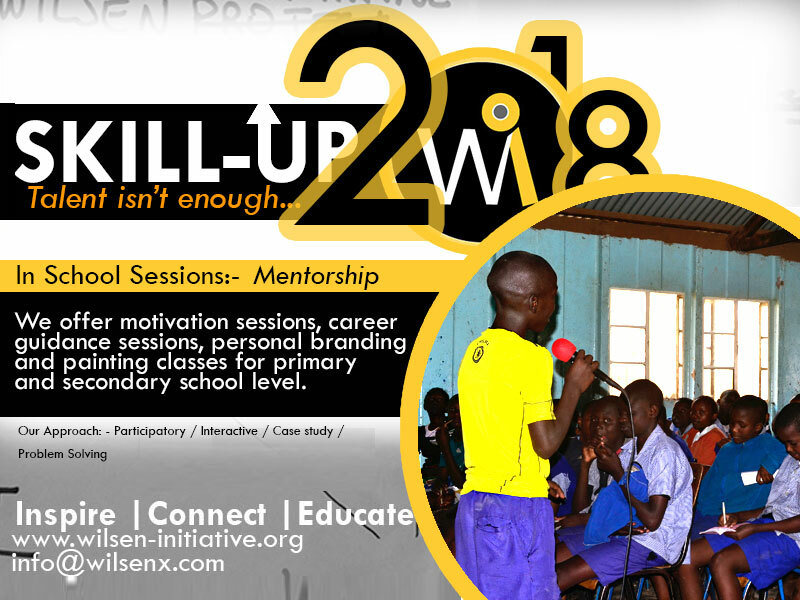 Many at times the youth are told that they do not have employability skills, let me share my thoughts on this topic. 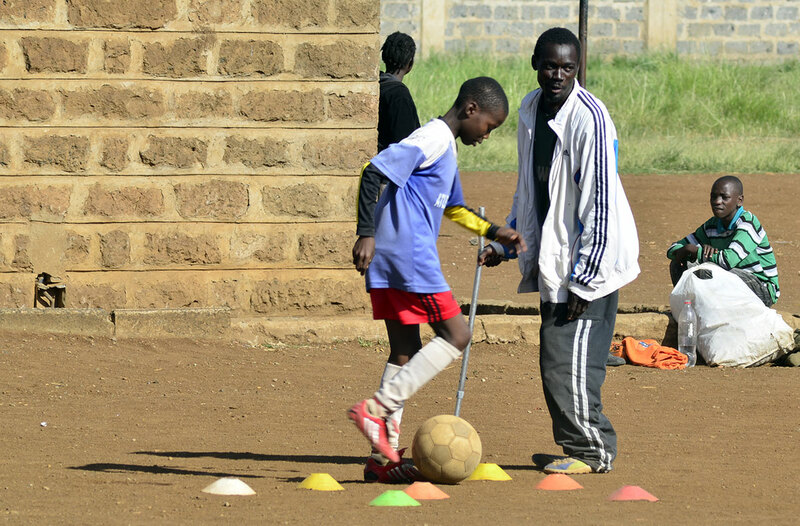 It is the packaging and capacity building of oneself with skills to be productive to him/her and to society. It is about what you can do for yourself today for a better tomorrow in employment or entrepreneurship. It is involves building one’s skills and capacity to identify and tap Income Opportunities but not only jobs. Employability is simply being WORK READY. 2. Volunteering – Giving yourself, your time, your skills and knowledge to the society without expecting any monetary gains. It can be in your church, to the mama mboga, in an NGO, your county government or in your village. There are exponential opportunities for volunteering for the youth right from their neighborhoods. 3. Internship or Apprenticeship – Serving in an organization in a learning or incubate capacity. Let the youth seek or take up unpaid internships for learning and experience purposes. 4. Risking out or being a GO-GETTER – Until you show up, no one can know that you exist, that you are knowledgeable or gifted. You have a speaking, writing, singing, sports talent etc, just step out and show yourself to the world. Be bold to apply for that job advertisement, give it your best at interview. Start that business! 5. Expose yourself to information – through reading, travelling, engaging in exchange programs, networking forums and keep contact with the networks. Build your net worth such that when someone needs a consultant or a business service they only think of you. 1. SME (Small and Micro Enterprises) – Research shows that 80% of jobs will and come from the private sector. It is prudent to focus our energy, time and skills to commercialize our skills in this sector. 2. Agriculture and Agribusiness – It is said that you may need a lawyer, a doctor an engineer once in a year but you need a farmer at least twice in a day if not all the time. This means that we have more opportunities for employability in agriculture yet the farming age is said to be 60 years. Who will provide the food for us youth? 3. White collar jobs – they are continuously dwindling but are available for those with skills that match with market demands. 4. 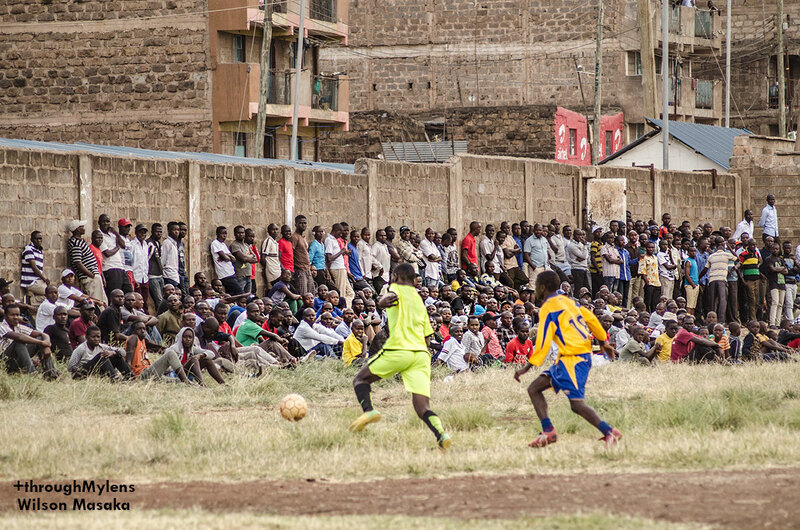 Sports, art and culture – Time has come for us to commercialize and invest in art. We have many examples of those earning a living from art and entertainment like those on the Churchill show. 5. Technology space – We now have online writers, ICT consultants, App developers and technology solution to societal problems. There are amazing and untapped challenges in this space, the E-commerce. 6. Tenders and supplies – Let the youth be encouraged to register companies to engage in business with national and county governments, schools etc. It is doable as a good number of youth who have tried this are making it. Entrepreneurship is choosing part of your life to live and do things like most people will not and later spend the rest of your life like most people cannot. It is choosing a path less followed. Intrapreneurship is the ability to exercise entrepreneurship principles in daily approaches or responsibilities. Today most institutions look for and hire entrepreneurs in employees. An Entrepreneur is any individual, who identifies or sees societal problems and goes ahead to provide solutions to the problems. As they solve the problems they get value for their effort on providing the solutions. Good employees are solution oriented and problem solvers, thus one must build their capacity with entrepreneurial spirit to stand out and be valuable to be hired. Young people must stop waiting to be spoon fed and step out to challenge themselves to be employable. No work or employability opportunity will come to us while watching soaps on television or while at parties. There is too much work to do when we decide to work. The cost of learning new skills at the institution is still high, leaving many young people from disadvantaged background to wonder where to start. Many are left out either because of cost or they can’t meet the selection criteria. 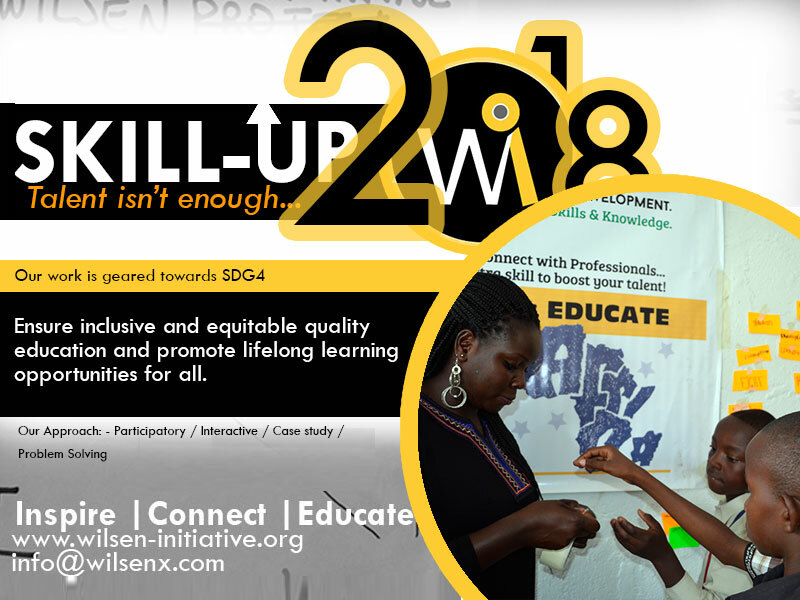 At Wilsen Initiative (Wi) we offer quality short trainings that wouldn’t be a means to an end, but start up journey that will ignite a new beginning in self learning using available resources, especially the internet. Creative entrepreneurs who want to hit the ground running after college. Youth groups who want to be able to represent their personal brand in a more better and professional ways. Schools that want to engage their students in creative approach and thinking using computers and painting sessions. Self-starters pursuing a career in the creative industry (Musicians, comedians, painters etc.). 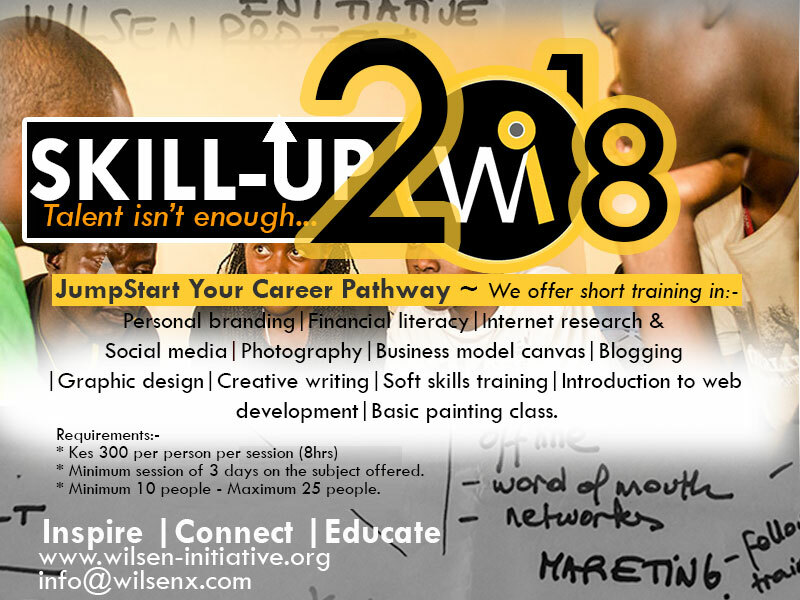 We offer short courses in Photography, Social Media Marketing, Content Creation, Blogging, Basic Graphic Design, Business model canvas, Soft skills, Branding, Creative Writing, Financial literacy, Painting sessions and Internet Research. How Much and Number of people? 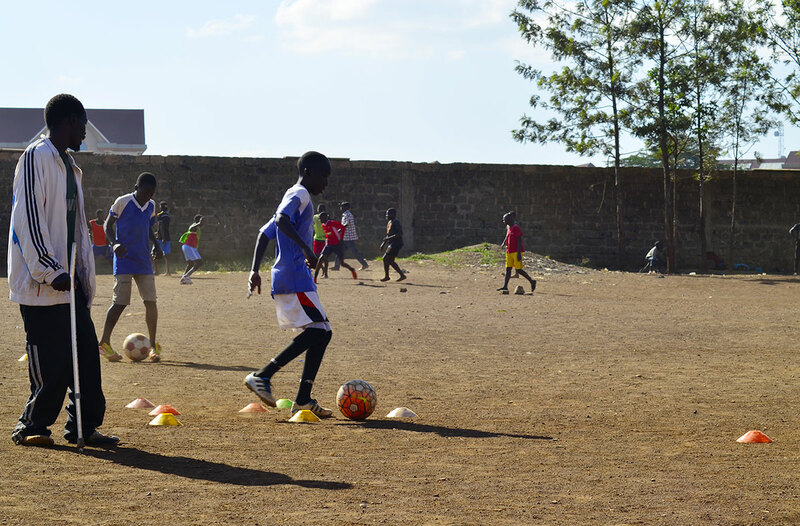 We train a minimum of 10 people to a maximum of 30 people in a session. Minimum session: 3 days for the module offered. Any customized session: A time frame and charges will be given. Sessions will take place at the client’s premise or at an arranged location with the client. The client is responsible for space, training materials, internet connectivity, computers and other logistics for the participants. 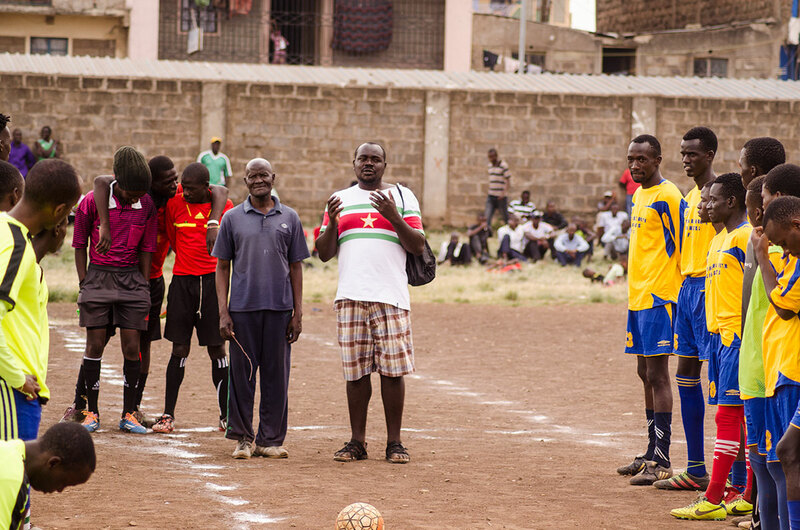 Mr. Wilson Masaka addressing the players and the officials before the kick-off . He encouraged fair play and unity of purpose. 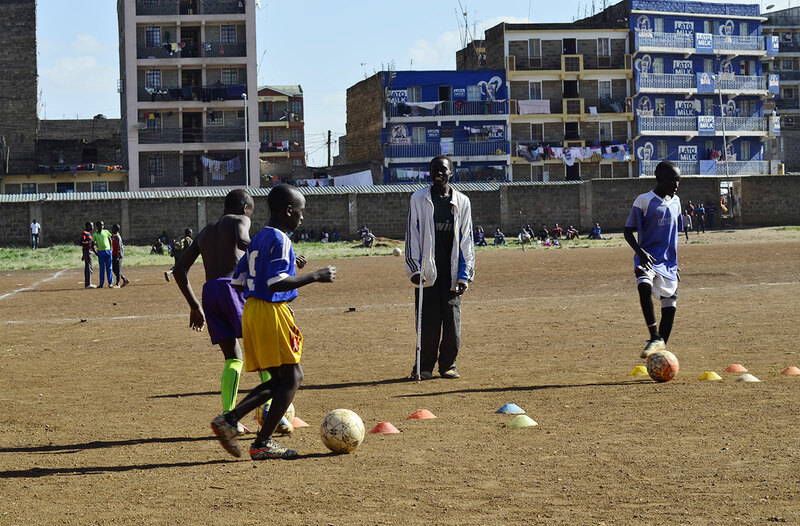 What inspired you to start Mathare North Festive Season Soccer Tournament? What is the main goal of the tournament? Who is the tournament sponsor? What type of support would you like to have? 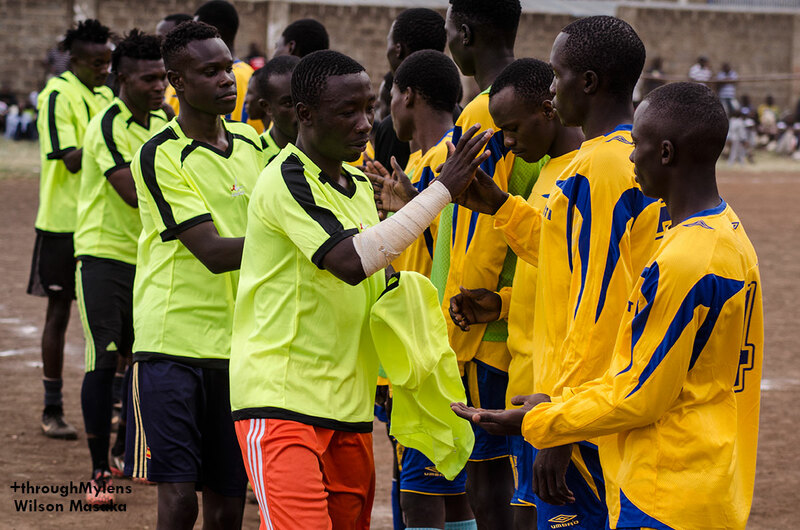 What was special about the 6th edition of the MNFS Soccer Tournament? How is the tournament designed (concept)?